LRS Education Services | IT Courses Microsoft Certification LRS Education Services offers IT courses and Microsoft Partnership certifications for MCSE, MCSA and MCSD. Contact LRS for training methods at getsmart@lrs.com. Microsoft on Demand from LRS Education Services Microsoft On Demand courses currently available as a 90-day option are now available as a 180-day option as well. After you enroll in the course, LRS will provide e-mail support allowing you to send messages to an LRS instructor. LRS will strive to respond to any e-mail support questions within one business day of receipt. Student Access Connectivity and Help | LRS Education For students that use Learn On Demand, Skillpipe or MetricsThatMatter online courses with LRS Education, we offer online help, connectivity assistance and more. LRS Education Services Training Methods You Are Looking For Training Methods; No matter what type of training style you’re looking for—instructor-led, virtual, on-site, high-definition instructor-led, or customized training, we’ve got it. LRS® Education Services makes learning convenient no matter what type of training best suits you. Microsoft Certification MCSA, MCSE, MCSD | LRS Education LRS Education Services offers courses to get your Microsoft certification for MCSA, MCSE, MCSD and more. Review courses by certification and technology. About LRS Education Services IT Training Solutions About Us LRS ® Education Services offers comprehensive IT training solutions and certifications. We are dedicated to ensuring that every student who walks through our doors comes away with the knowledge, skills, and expertise they need to do their best work. Contact LRS Education Services | Springfield and Bloomington Contact information for LRS Education Services in Bloomington and Springfield in Illinois. Or use our contact form for questions about our IT courses. 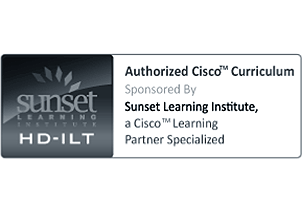 Digital Curriculum from LRS Education Services and Skillpipe Digital Curriculum When taking a Microsoft ® Official course, please take a few minutes prior to the scheduled class date to set up your personal account. The week prior to the start date of your class, you will receive an email from Courseware Marketplace (Skillpipe.com) that contains your Courseware License Key. Virtual Training Methods from LRS Education Services Virtual training offers all of the benefits of being in an LRS Education Services training facility classroom, but allows a student to be anywhere in the world where there is a computer and an internet connection. There can be significant cost savings in terms of transportation and lodging when students don’t have to travel for training. Map Directions for LRS Education Services Locations Contact and map directions to locate our Bloomington and Springfield, Illinois LRS Education Services Centers, or contact us at getsmart@lrs.com. Testimonials of LRS Education Services IT Courses Read testimonials of LRS Education Services about courses offered and instructors. Contact us at getsmart@lrs.com for your IT course and certification needs. IT Courses and Microsoft Certifications | LRS Education LRS Education Services offers IT courses and Microsoft Partnership certifications for MCSE, MCSA and MCSD. Contact LRS for training methods at getsmart@lrs.com. LRS Education Services News, Course Schedules and Events LRS Education Services news and events. 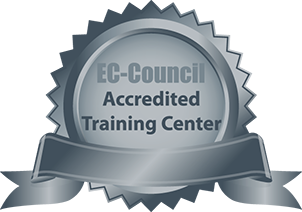 Learn about our Microsoft and IT Certification programs, course schedules, webinars, accreditations and much more. 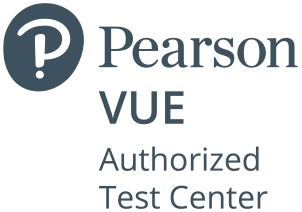 Pearson VUE Authorized Test Center | LRS Education Services LRS Education Services is a Pearson VUE Authorized Test Center, the world's leading test center network. 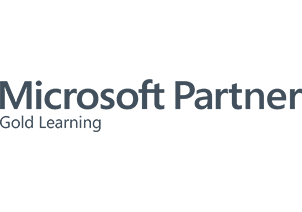 Pearson VUE is the leading provider of global computer-based testing solutions for information technology, academic, government, and professional testing programs. MS--500 - MS-500: Microsoft 365 Security Administrator Track Course MS--500 - MS-500: Microsoft 365 Security Administrator Track with locations in Springfield, IL and Bloomington, IL. MCSE Communications Solutions Expert Certification MCSE Communication 4 Classes + 5 Exams = MCSE Communication Solutions Expert Certification! The LRS Education Services MCSE Communication Solutions Expert Certification Program provides you with 20-days of instructor led training and four Microsoft MCP Exam vouchers. MCSE Messaging Solutions Expert Certification MCSE Messaging 5 Classes + 4 Exams = MCSE Messaging Solutions Expert Certification! The LRS Education Services MCSE Messaging Solutions Expert Certification Program provides you with 25-days of instructor led training and five Microsoft MCP Exam vouchers. MS-10979F - Microsoft Azure for IT Professionals Course MS-10979F - Microsoft Azure for IT Professionals with locations in Springfield, IL and Bloomington, IL. MS-10992 - Integrating On-Premises Core Infrastructure ... Course MS-10992 - Integrating On-Premises Core Infrastructure with Microsoft Azure with locations in Springfield, IL and Bloomington, IL. MS-20534 - Architecting Microsoft Azure Solutions Course MS-20534 - Architecting Microsoft Azure Solutions with locations in Springfield, IL and Bloomington, IL. MS-20779 - Analyzing Data with Excel Course MS-20779 - Analyzing Data with Excel with locations in Springfield, IL and Bloomington, IL. Role Based Microsoft Certification Exams | LRS Education ... I had the opportunity to join 16,000 friends at the Microsoft Inspire conference in Las Vegas…and boy was it hot! On the first day of the event three Azure certifications were announced.